"By taking the P.T.S. 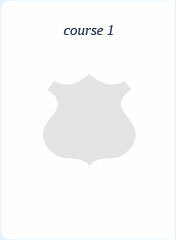 promotional courses, I moved through the ranks and scored a 99% on my Chief's exam. The only way to prepare is with P.T.S.!" - Chief Willam Hayes, Town of Bedford, NY Police Department. 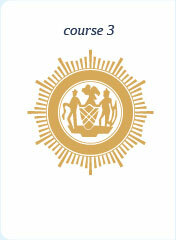 AVAILABLE NOW - This entrance course has been developed from the “official” exam announcements to ensure that the P.T.S. Police Officer/Deputy Sheriff Entrance Examination Course will be on target! This is a three (3) session course with hundreds of practice questions and more than six (6) hours of audio instruction. This course and all material posted within the sessions will remain available through the 2019 state-wide entrance examinations. As always, P.T.S. students will be at the top of the list! We will not accept credit cards at the location and only students who have registered online for the Cram Course are guaranteed a seat. When the room is full, the Cram Course is closed out! 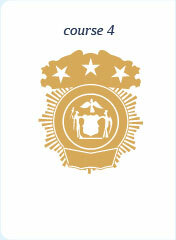 AVAILABLE NOW - This 15 session course is designed to prepare Police Officers, Detectives and Investigators for their upcoming First-Line Supervisor Examination. This course will contain written materials, practice questions and audio instruction in all of the subject matter areas that will appear on the Sergeant and Supervising Criminal Investigator Examinations. This course and all material posted within the sessions will remain available through the date of the May/June 2019 Sergeant/First-Line Supervisor/Investigator Examinations. As always, this P.T.S. Course will be on target! We will not accept credit cards at the location. Only students who have registered online for the Cram Course are guaranteed a seat. Available June, 2019 - This 9 session course is designed to prepare candidates for the difficult and advanced questions that will appear on the Second & Third-Line Supervisor Examination. This course contains written materials, practice questions and audio instruction covering the subject matter areas that will appear on the advanced promotional examinations. This course and all material posted within the sessions will remain available through the date of the Fall 2019 Lieutenant & Captain / Second & Third-Line Supervisor Promotional Examinations. As always, this P.T.S. Course will be on target! 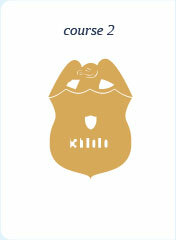 Available December, 2019 - This online course for the March, 2020 Police Chief/Assistant Chief Promotional Examination will contain the materials and audio instruction from the online Lieutenant & Captain/Second & Third-Line Course together with printed and mailed materials and instruction specific to the Police Administration, Administrative Police Supervision and Job Simulation Exercises In Police Administration and Command questions which are unique to the Police Chief/Assistant Chief Promotional Examinations. This course and all material posted within the sessions will remain available through the date of the 2020 Police Chief & Assistant Chief examinations. As always, this P.T.S. Course is on target!